We love it when we can provide our customers with their dream tour. Kayaking gives an unique opportunity to experience some of the most exciting places in our country from a different perspective. Send us a request with number of interested participants. Express your wishes and we will contact you in the short term with offer for custom tour. Our mission is you to have the best possible free time while visiting Croatia. The idea was born while kayaking with friends along Adriatic coast in summer 2013. Now, our job is to encourage people to live fully during vacation and to take valuable new experiences back home. 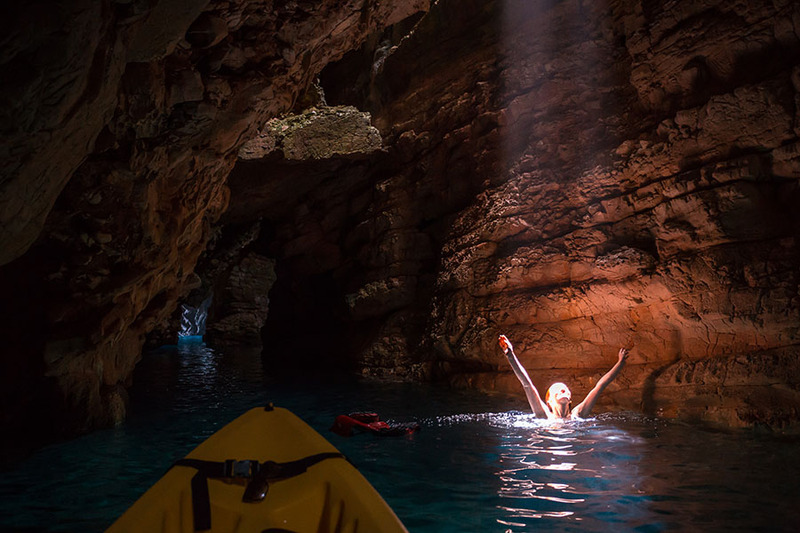 Join us in creating unforgettable memories and bringing your childhood dreams and fantasies to life: sunny beaches, cristal blue sea, caves, sunken ship... with kayaks, bikes and in good company.